I'm not sure if it's something I've mentioned on my blog before, but anybody who knows me or at least spends any time with me, will know that I am an avid soap opera geek. As sad as it is, soaps are very much a constant in my life and I fully place the blame for this with my mother. Ever since I was a little 'un, I remember my mum dashing around like a maniac at tea-time, trying to get her last bits of ironing done or trying to bath her squadron of kids before 7pm chimed and the anthemic drone of Emmerdale's theme-tune rang through the house. From then, until 9pm, (depending on what day it was) it was time to sit down, shut up, and tune in to soap after soap before heading off to bed the minute the last one ended. Those two hours were very much my mum's downtime. Growing up, this nightly regime never changed. Even now when I go home for a few nights, its exactly the same routine every night and since moving to university, I have adopted the same routine, and have even trained my flatmates to adopt it too. Now obviously, the big three soaps in the UK are Coronation Street, Emmerdale and Eastenders and those are the ones I primarily watch. I can't get my head around the fascination with Hollyoaks and personally don't find it a viewing necessity as opposed to the other three. 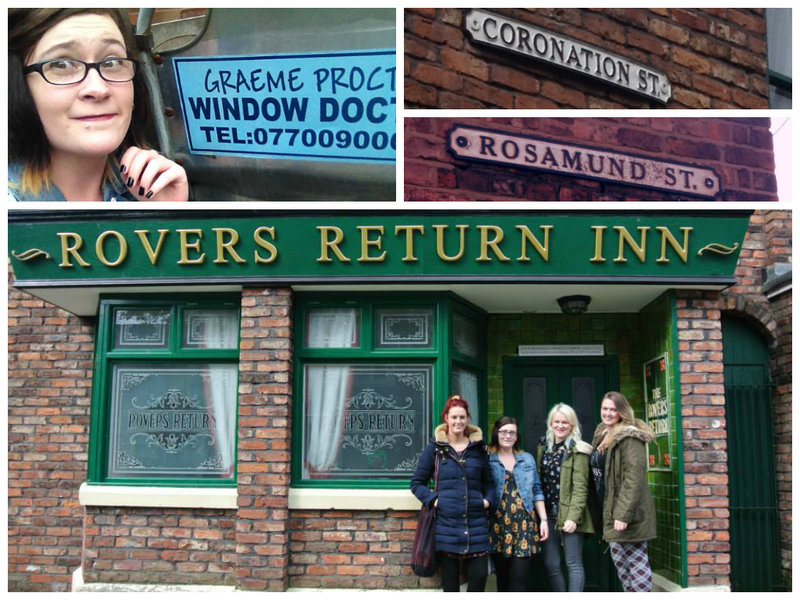 These are the ones I grew up watching, and while I enjoy all three, Coronation Street is my absolute favourite. 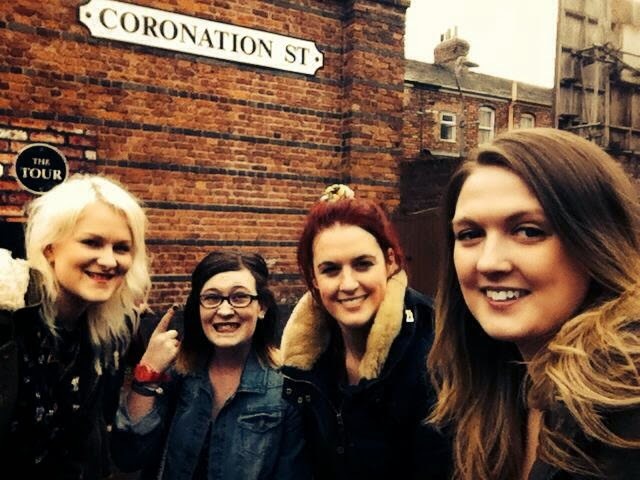 I don't know what it is that I love about Corrie, I think I just really enjoy the fact that its a Northern, humble, working-class soap and constantly reminds me of my own street back home. It's history is fascinating and it is, in my opinion one of Britain's best TV shows. 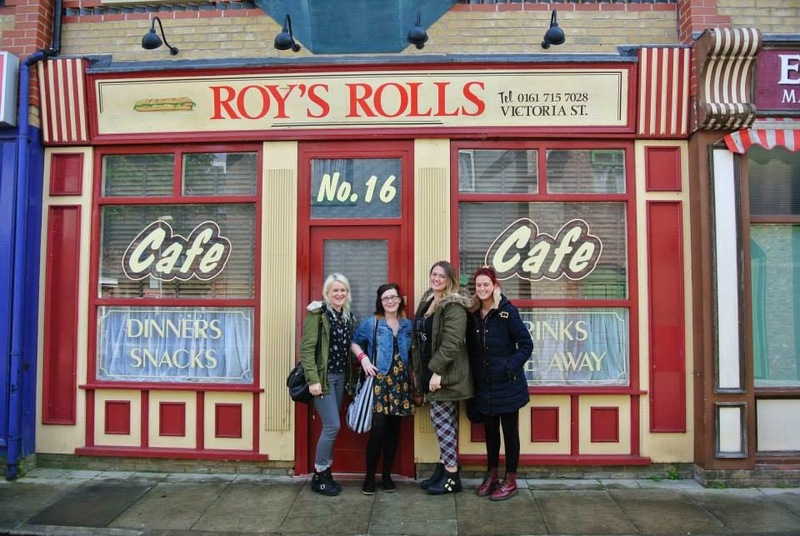 Due to my love and fascination for the show, I actually wrote my final university dissertation on it, earlier this year, in which I explored the notion that Corrie is considered a national institution. I talked about aspects of the show that have kept viewers gripped for nearly 54 years, from the characters, the storylines, the history, the worldwide fandom and the factors that resonate heavily with its audiences. Writing and researching this piece, meant that I had to read a plethora of books written by ex-producers, archivists and cast and crew members in order to build my knowledge of the programme. 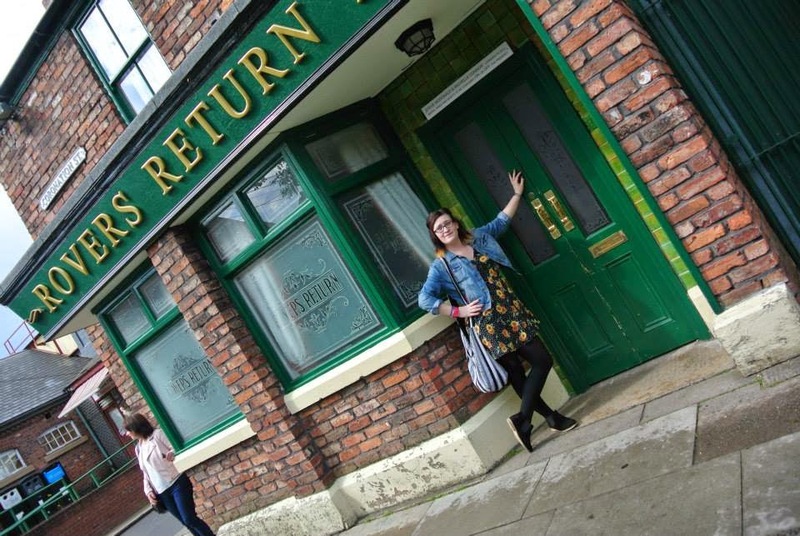 Doing this just strengthened my love for Coronation Street and everything about it and therefore when they announced the news that they were opening the old set for visitors, I could've squealed with excitement. As the tour was in Manchester, we set off pretty early to meet our old flatmate, Hannah who coincidentally lives in Manchester herself. We headed for dinner before jumping on a shuttle-bus which took us almost directly to the tour. From the moment I woke up, I was extremely giddy, probably more-so than anyone else in our gang. This escalated pretty quickly once we arrived through the gates into the old Granada complex. We met our tour guide at 3pm, and she geed up our little group, which was in hindsight a little bit cringey but definitely worked nonetheless. She was clearly a fan of the soap herself and certainly knew her Corrie stuff. To begin, we visited the old cast green room which was really exciting. The tour guide told us stories of how the cast hung out in there before takes and showed us the cast pigeon holes and filming schedules which made it clear just how real it all was. All I could think was I wonder who has been sat in this very same chair, over the years and who had liased in the room I was sitting in. 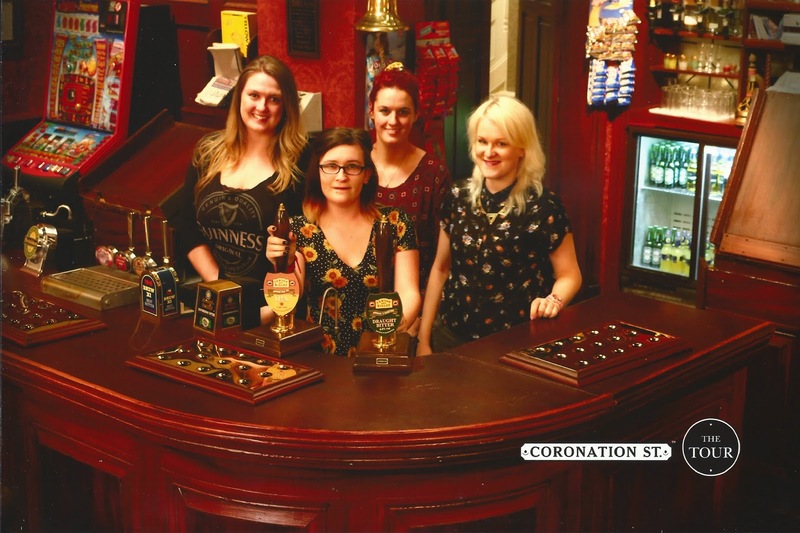 The guide told us a few facts in the green room before we headed down the 'Corrie-dor of stars' where the cast dressing rooms were situated. Some of the dressing rooms were open for us to see and it was funny to see how each room was decorated slightly different and adorned with little trinkets depicting their owner's character and personality. Along the corridor were huge pictures of the cast, past and present and lots of stills from memorable episodes, creating a real cast presence. At the end of the corridor, we turned into the costume department, which held some of the characters most recognised outfits. Among these were Emily's blouses, Carla's wedding dress and an abundance of props such as pink cowboy hats and tiaras, which screamed Cilla or Becky. To the left of this, was a dressing table with wigs, make up, hair sprays and beauty products. At this point the tour guide asked for a volunteer to sit in the cast's make-up chair, and with everyone clearly too shy to co-operate, I took it upon myself to be the guinea pig. I am actually quite an embarrassment and its surprising that I have friends. But secretly I enjoyed it! After this, we went and watched a montage of clips from the last 50+ years which was actually really emotional. 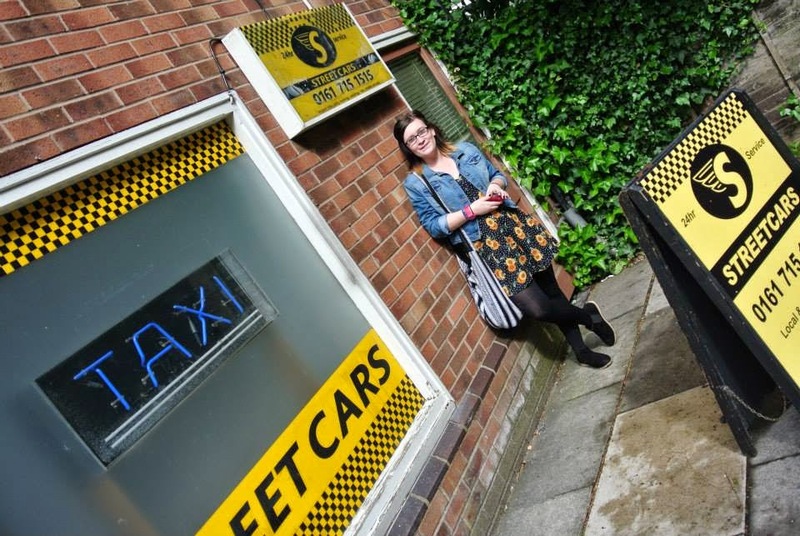 It started with dramatic and serious clips which had me and Hannah weeping, and then ended with some of the show's best comical moments and witty one-liners which had us in stitches. It was a great way to show the programme in all its glory and got us excited for the next stage. Once the montage was over, we headed into Stage One, which was where the dressed sets were situated. 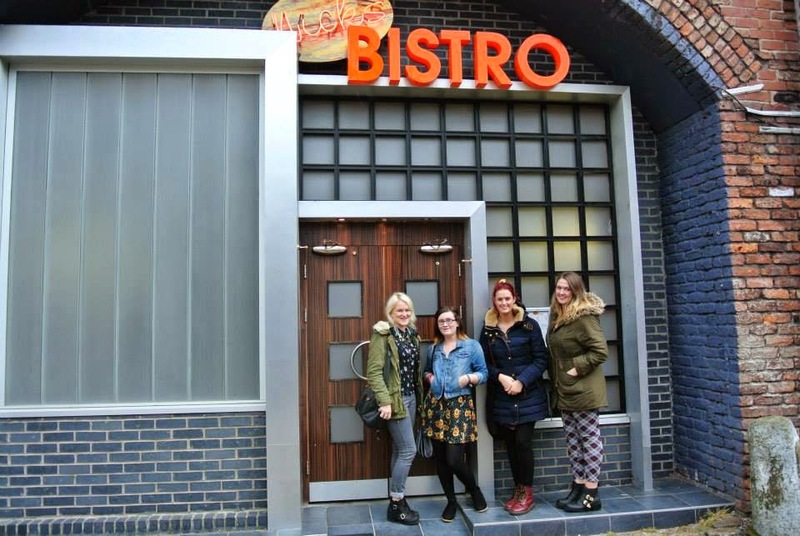 Firstly we saw Carla Barlow's old flat before she moved in with Peter. On TV, I loved her flat, but I have to say, in real life it is rather garish! An abundance of prints and fiery red shades made up her abode and the tour guide talked us through the design of her upmarket flat. It was fascinating to see it there in all its glory and we couldn't believe how well the floors were painted on and that the appliances in the sets actually work and are in fact PAT tested. Next we saw Gail's or rather David's home and I was most surprised to see that they had a copy of Calendar Girls on DVD under their TV. Our guide told us a few anecdotes and stories before we moved on to the next set. This was another emotional moment for me (wow I need help). 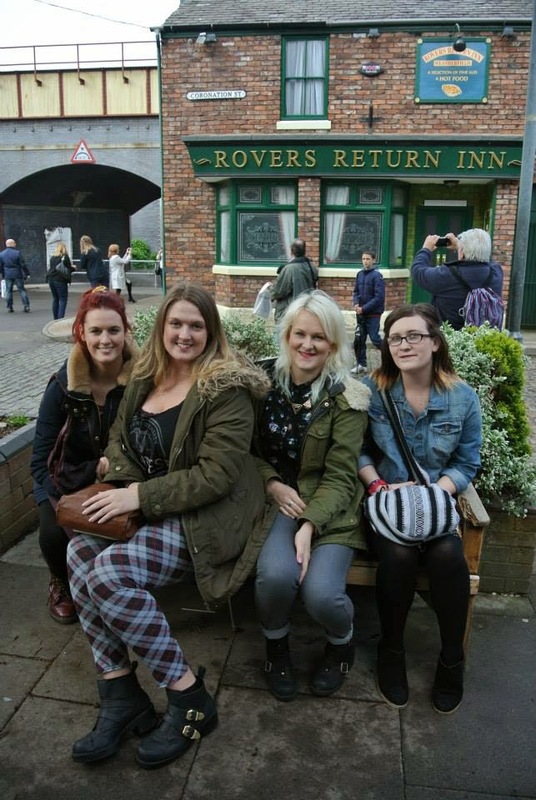 The next set was the Rovers, which most people will know, is the street's local pub. The doors of the set opened and it was so surreal to see it in real life. It was just as it appears on TV, only much much smaller. We grabbed a booth like Emily, Norris and Rita and sat on the edge of our seats as we waited patiently to get our picture taken behind the bar. 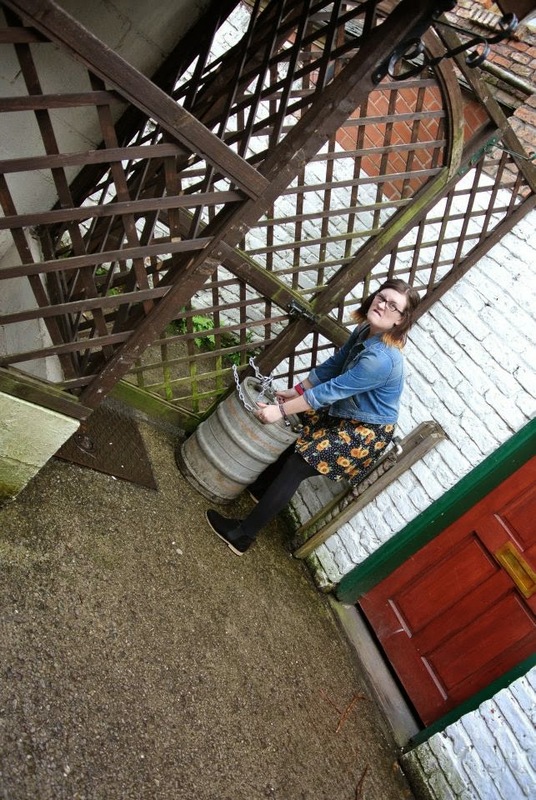 I literally wanted to stay there all day and re-enact scenes and play barmaids, all I wanted to do was dive over the bar like Becky once did to hurl a punch at Jason. While in the Rovers, I also had a nosey at the jukebox and was extremely pleased to see McFly on there! 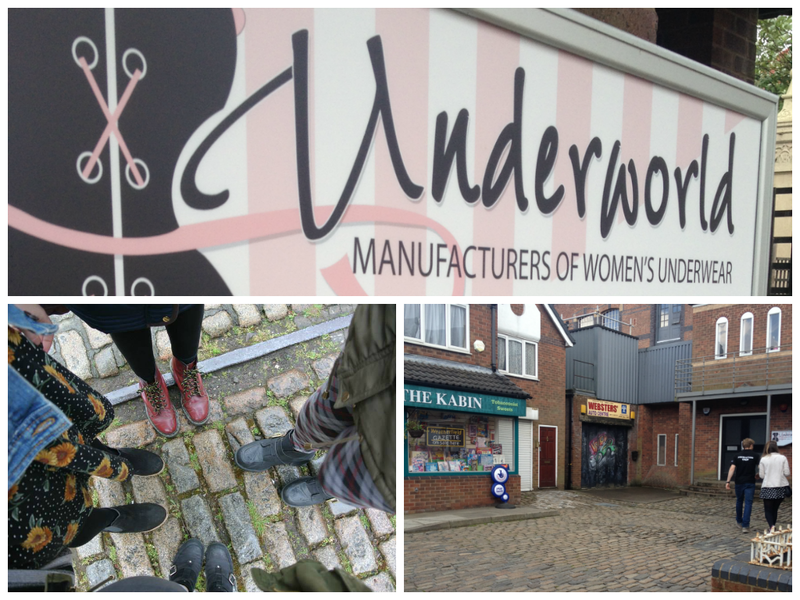 We then saw a few other sets such as Underworld, Jack and Vera's/Tyrone and Fizz's, Martha's Barge, and a lot of memorable props and outfits such as Rita's wedding dress, Hilda's rollers, the statue that Tracy whacked Charlie Stubbs with, and even a cabinet full of past awards such as BAFTA's, NTA's and Soap awards. After this, we headed to the pièce de résistance - the street itself. 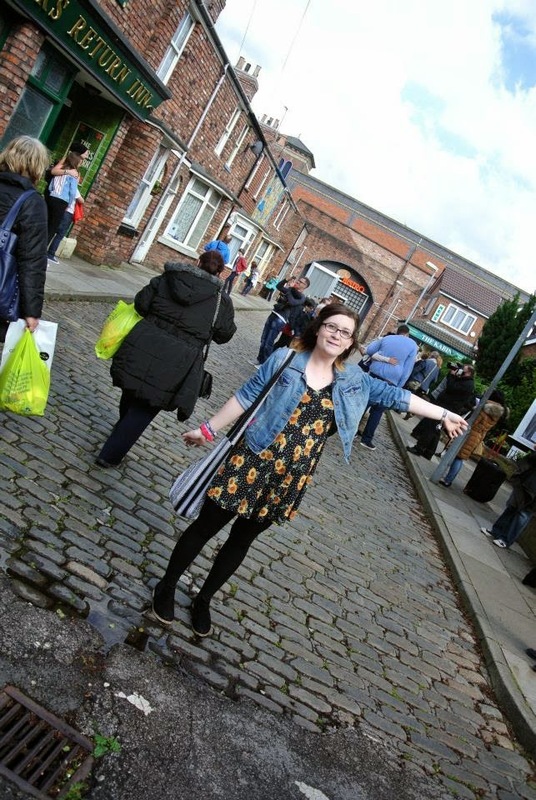 The tour guide did a very amusing countdown before hitting a button which cued the Corrie themetune and opened the doors to the famous cobbles. At which point, I cried...again. 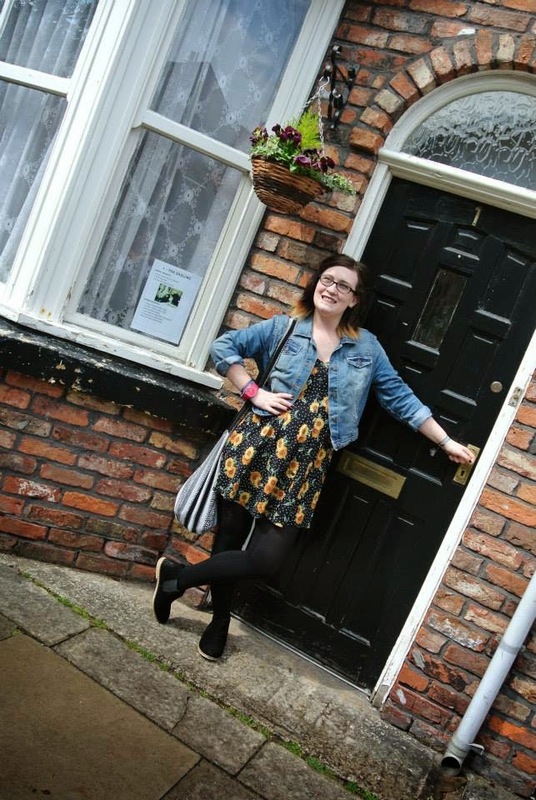 We hit the cobbles and I literally took advantage of every photo opportunity possible, getting snaps outside nearly every house and business. 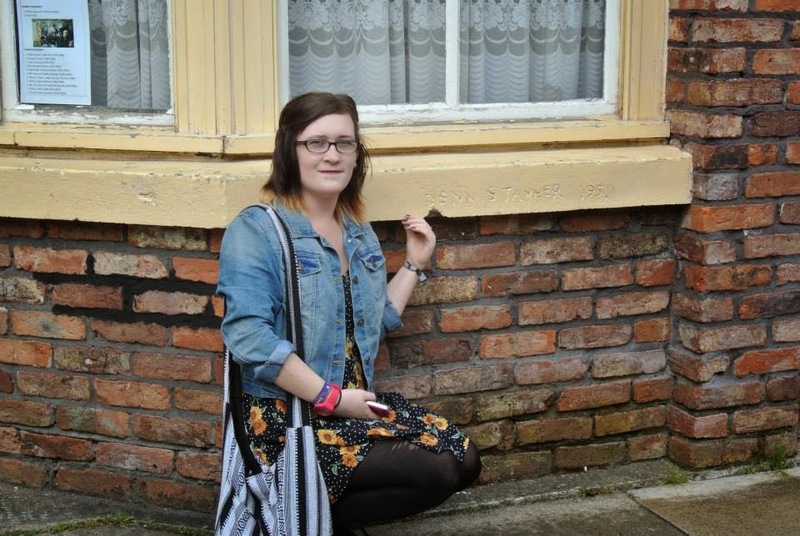 I was so happy to see the 'Dennis Tanner 1951' inscribed into the window ledge of number 11 and for me, that was one of the highlights, because I know that not many other people know that its there, but once I took a snap with it, many other visitors did the same, which made me happy. 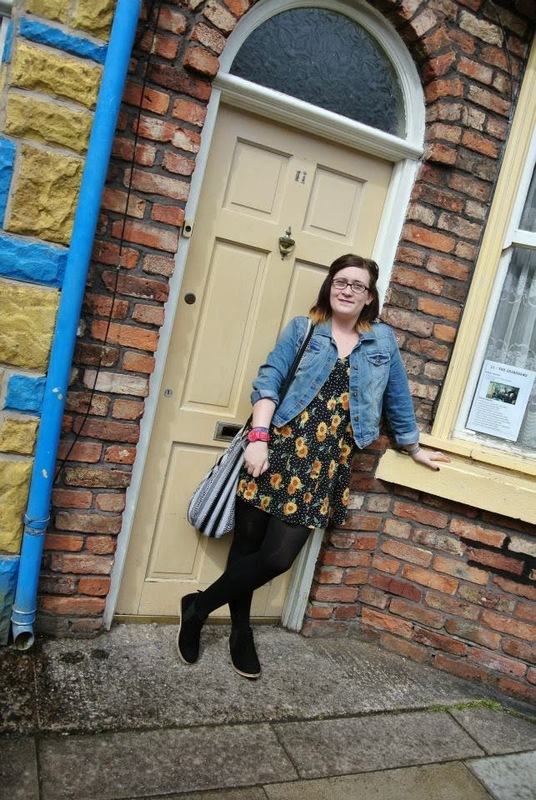 Getting pictures outside number 11 was great for me, as one of my most favourite characters of all time, is Elsie Tanner, who lived there for many years. I think its now Eileen's home, or hostel as it sometimes appears, full of strays and waifs! 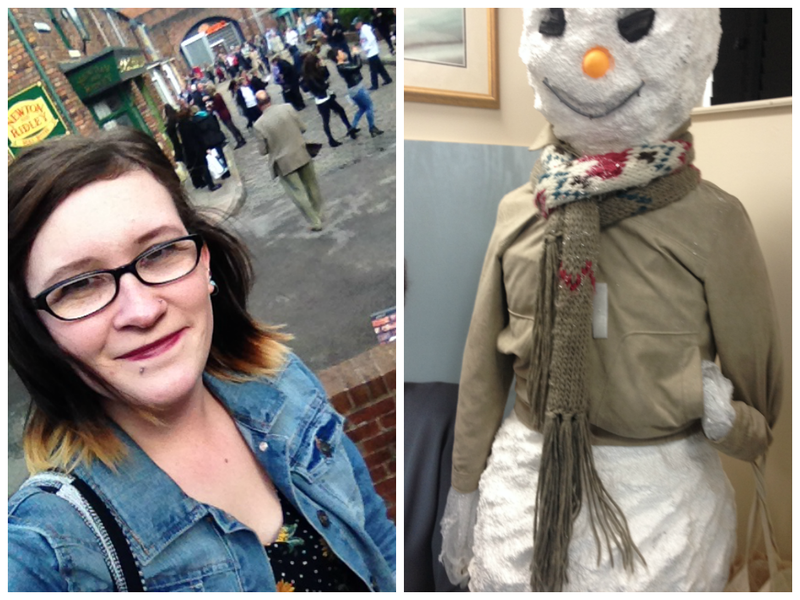 It was great to be able to go round the corner and see Barlow's Buys, Roy's Rolls and even go down the illicit back ginnel behind all the houses and hear the voices of Hilda and Stan and Jack and Vera bellowing down the alley. We were pretty much allowed free roam on the street and could stay there as long as we liked, and I reckon we were probably on the street for a good hour or more. After this I went and spent an unprecedented amount of money in the gift-shop which had lots of little trinkets and souvenirs and was where we could collect our Rovers pictures. I bought a Hilda Ogden shopper bag, a postcard, a pen, two keyrings, a t-shirt and god knows what else but I loved being able to get keepsakes because it was such a great day out. 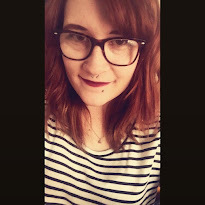 All in all, I had an awesome day. The tour was around £16 and I think its an absolute bargain to walk the cobbles and step onto a national institution. The tour guides and team organising the tour were friendly, knowledgeable and made it a great experience and therefore I would totally recommend visiting the tour before it closes for good later this year. As predicted, final year held me hostage!